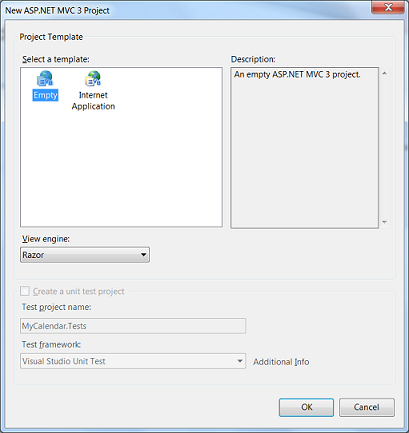 In this short yet detailed tutorial we will lead you through the basic steps of creating a VB Scheduler/Calendar in ASP.NET and ASP.NET MVC3. As stated before, we converted DHTMLX Scheduler .NET C# samples to visual basic. This allows the adherents of visual basic to create a simple Google-like event calendar in their favorite programming language. By its structure the tutorial reminds the previously published tutorial for ASP.NET event calendar coded in С#. It covers the main steps of scheduler creation. You can download the ready VB.NET calendar sample right now, or proceed with our tutorial. Copy the DHTML.dll library to your project folder from the unzipped Scheduler package (bin folder). The dhtmlxScheduler found in the Scripts folder of the package root directory should also be added to the Scripts folder of your newly created project. Right-click on the “MyCalendar” project in the Solution Explorer to add the required reference. Now we need a database to store the calendar events. 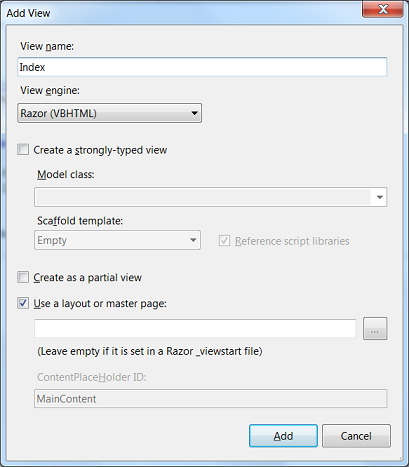 To implement this, go to the Solution Explorer and add a new ASP.NET folder App_Data. 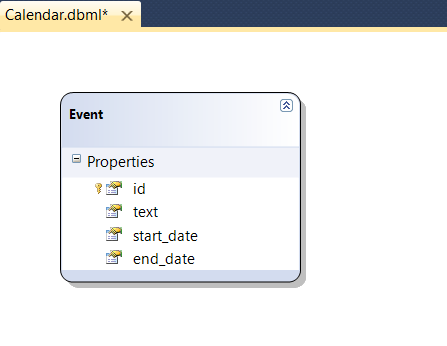 Then create a new SQL Server Database and name it MyCalendar.mdf. A new database has been created. Note! Set primary key to id and enable the identity column. Go to Models to add a new item. Select Data from the Visual Basic installed templates and choose select LINQ to SQL Classes. Name it Calendar.dbml. 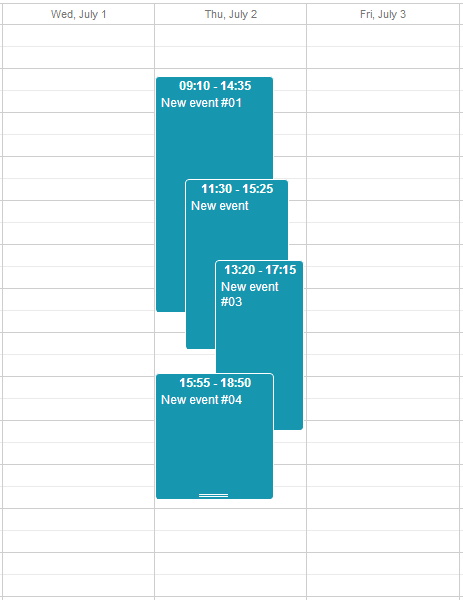 Drag the ‘Events’ table to the designer surface. We have approached the step of building the event calendar itself. A simple event calendar has been created. 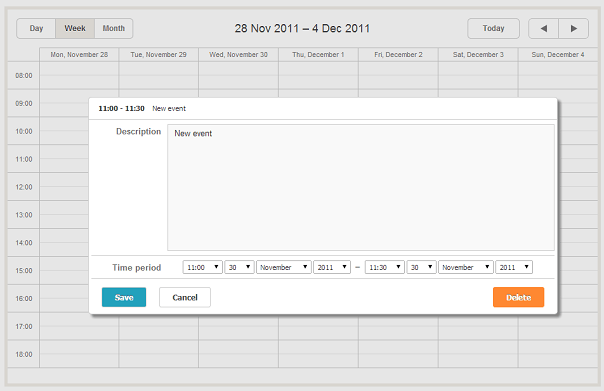 It incorporates a form that opens on double click when you create an event. The form includes an event description and date and time drop-down lists. You can add new events to the calendar now but after page reload nothing is saved. In the next steps we will enable data loading and saving. Go to CalendarController.vb to update the logic for data loading and saving. Now your events are saved after page refresh. 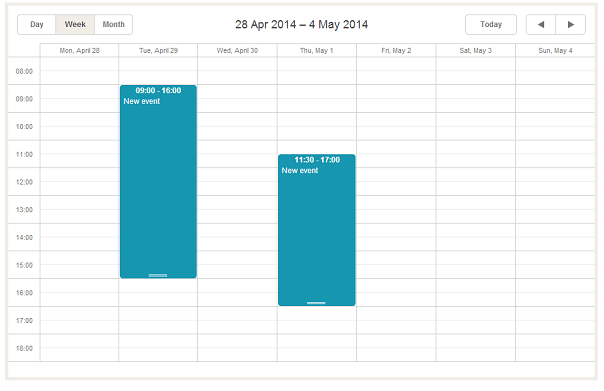 The VB Scheduler is ready and can be embedded on your website. In this tutorial we have demonstrated how an event calendar in visual basic can be implemented from scratch. If you prefer to skip it, just download the ready sample that can be easily integrated into your ASP.NET application. If this tutorial was useful to you, please share it with your friends and comment below.